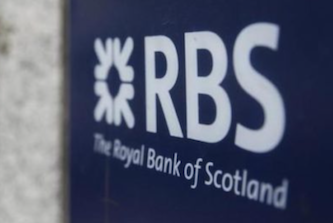 Royal Bank of Scotland (RBS) said on Thursday afternoon it will seek authority from shareholders to buy back RBS shares owned by the UK Government in a plan to use excess capital to speed up its return to private ownership. RBS is still 62.3% owned by British taxpayers, following its £45 billion pounds bailout during the financial crisis. A special resolution seeking authority from shareholders to make off-market purchases of ordinary shares from the UK Treasury will be proposed at a general meeting to be held on February 6. “The purpose of the directed buyback contract is to give the company the flexibility, if appropriate at the relevant time and with the agreement of HM Treasury, to help facilitate the return of the company to full private ownership through the use of the company’s excess capital,” said RBS. “The directors will only make off-market purchases with HM Treasury’s agreement and where, in light of market conditions prevailing generally at the time, they consider that such off-market purchases will be in the best interests of shareholders as a whole. RBS chairman Howard Davies said: “This resolution would provide the bank with the flexibility to use some of its excess capital to buy back Government shares at a time and price agreed with HM Treasury. The RBS General Meeting will be held on Wednesday, February 6, 2019 at 3pm at the RBS Conference Centre, RBS Gogarburn, Edinburgh. Some reports have suggested RBS will be able to buy back a maximum of 4.99% of its total shares from the UK Treasury in any one year. A UK Treasury spokesman told Reuters: “The government should not be in the business of owning banks, which is why we’re committed to returning RBS back to private ownership.